This week Cocoa Fly is Switching It Up and covering the Los Angeles Latino International Film Festival. If you're in the LA area you must stop by and take in the incredible films being shown. Thursday is the LAST day of festival. Tony Bennet may have left his heart in San Francisco. 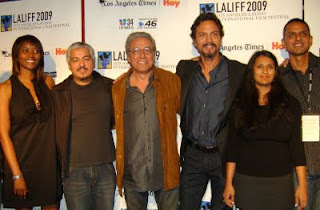 But, Benjamin Bratt's La Mission will leave your heart and soul stirring. Bratt delivers a stunning performance as Che Rivera, an OG low-rider/ bus driver living in San Francisco's tough Mission District. A single father, Che abandons the thug life and raises his college-bound son. Life is good until he discovers his son Jess (Jeremy Ray Valdez) is gay. His rage and homophobia shatters the relationship between he and his son. Che is one of those brothas on the block you don't mess with and everyone respects. But he wrestles with looking inward to learn about love, acceptance and forgiveness. A budding romance between his pretty neighbor Lena (Erika Alexander, Living Single & Cosby Show) also brings out the tough's guy tender side. Watch the trailer here. La Mission is so far the best film I've seen this year. It shines light on homophobia in the Latino community and causes us to reflect on prejudices within our own cultures. La Mission steps away from the tired inner-city script centered on gangs and drugs. 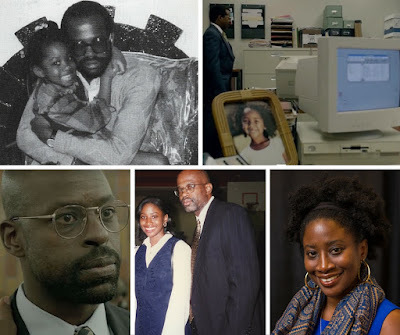 This story is about community, family, love, tolerance and so much more. 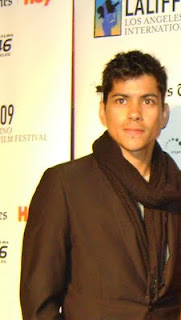 Benjamin Bratt's brother Peter directed and wrote the film. The two collaborated back in 1996 for Peter's first feature "Follow Me Home." Bratt says working with his brother Peter was an ideal experience. "He knows what my emotions are, what my strengths are," said Bratt. Peter masterfully takes heavy subjects and turns them into a raw and beautiful feature. "The story is about spiritual transformation," Peter said. The Bratt brothers grew up near the Mission and it's evident in the film. I'm a Bay Area girl and the movie's portrayal of the Mission is authentic. The slang, clothing, accents were on point. Tricked out low rider cars and the array of music added to the film's vividness. I even heard a little William De Vaughn and E-40. The diversity and images of characters were absolutely refreshing--Latinos, blacks, whites, Asians, Native Americans, gay and straight. Now that is real San Francisco. Jeremy Ray Valdez's portrayal of the closeted son is amazing. Valdez was ready to take on the serious subjects when he learned about the project. "I was overjoyed because as actors it's seldom that we get to tackle subject matters that are important and well written." The casting was right on also. Erika Alexander is delightful and moving as Che's granola, hipster neighbor. Playing Benjamin Bratt's love interest must be difficult...not. One of the many things I like about the film is the brotherly interaction between black and brown characters. Black and Latino tensions are always in the news. Rarely we hear about the communities getting along. I asked Alexander if the film creators were looking specifically for a black woman to play her character Lena. She said, "I think they were open to any woman. 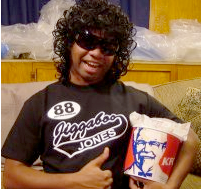 The Bratt brothers aren't racially biased. They were just open to whomever fit the role." 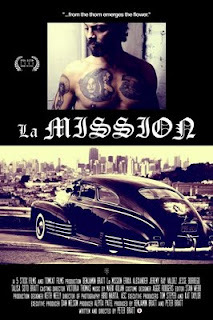 La Mission is not available to a larger audience yet, because the producers are looking for a distributor. Check their Facebook page to find out where the Bratt brothers will be traveling next to show the film. Spread the word. We need more films like this. Peter Bratt is an amazing talent who isn't afraid to take on controversial subjects. By the way, one of the perks to Switching It Up is standing a few feet away from Benjamin Bratt.